The owner, a wonderful man named Michael of course, recently relocated his shop and amazing wares from Robertson Blvd., in Los Angeles to the new design district of Palm Canyon Road. 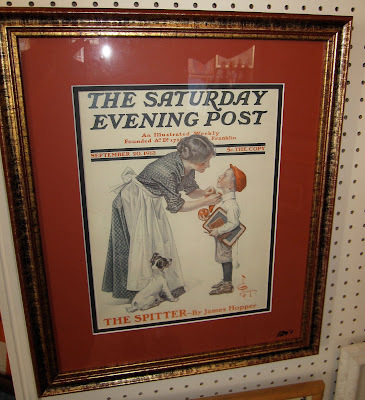 Hands down his store has the best and affordable vintage framed prints and originals around. The shop is nothing fancy but truly a treasure chest. 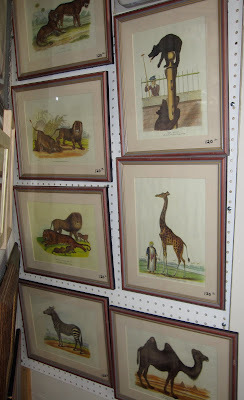 Best part is that this is just the tip of the iceberg, he has garages full of prints that he has been collecting for over thirty years. Most date back to the 60's and 70's. Below is the piece that I selected as a birthday present from my mother-in-law Beth, I just LOVE it and it is hanging in my hallway now. 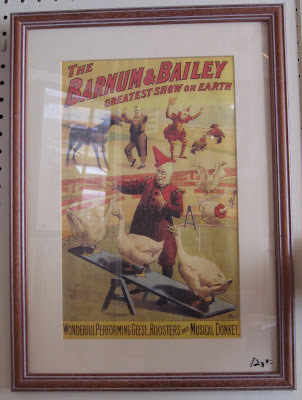 His selection includes old movie posters, signed museum posters, Chagall lithograph prints, photographs, still life prints and even some antique arrow heads. 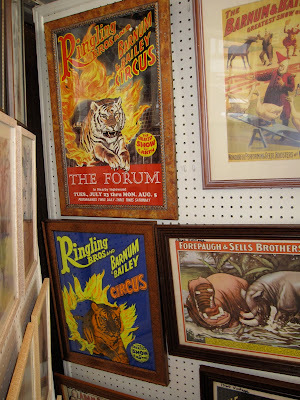 You are bound to find something to put on your walls here. I took a few photos of a few prints which I thought would be fun in a nursery. All the prints are priced under $150 each framed and are interesting and unique. Now this last piece is from another wonderful store call Dazzles. The is a mid-century modern vintage store which specializes in furniture, decor and jewelry. The owner of this store, Mike Sauls was also delightful and full of knowledge. Coincidentally he is also a Los Angeles transplant. I thought that this floral light sculpture would be a fun feature in a child's room. Priced around $475, you could definitely plan a room around this. 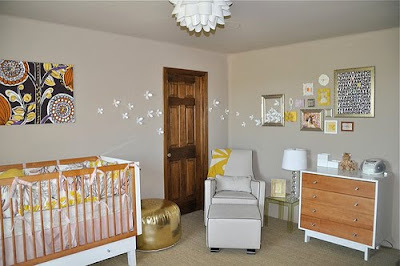 Don't you think it would look great in this nursery? Dazzles is great for vintage jewelry too. I also love Bon Vivant! Oohh yes the collection of earrings and flower pins is unbeliveable! When I was there the owner said that some designers from JCrew had come in a few days earier and purchased over $3000 worth of jewelry from him. Now that is a lot of vintage jewelry since most of his piecs are under $40!